What If...? 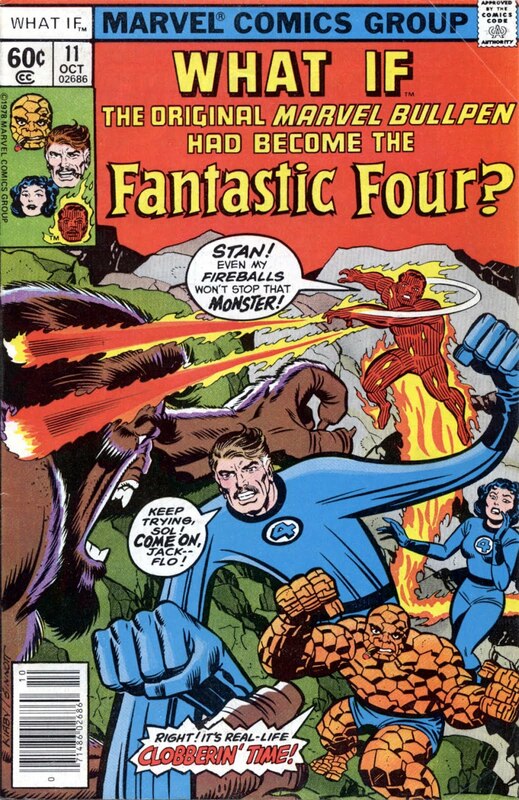 was the title of two long-running Marvel series from 1977–1998, and basically what it did was see what would have happened if certain Marvel events took different turns. I'll be honest and say most of them don't really age well. They didn't really get the best talent on most of them and most played on stories that were specific to their eras, which themselves aren't exactly evergreen. 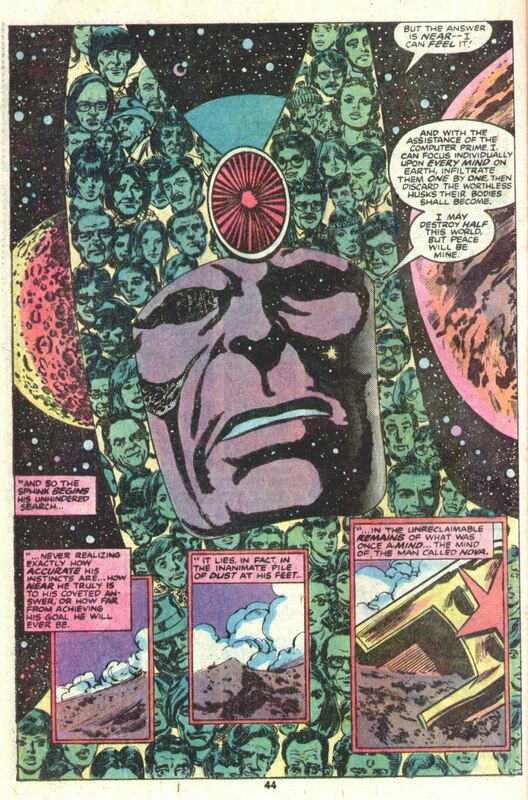 Still though, here are 10 notable issues of What If...? This list isn't any particular order, so don't treat it as a ranking. 1. 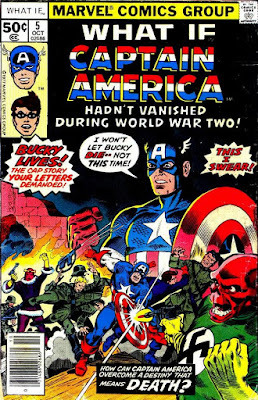 What If Captain America Hadn't Vanished During World War II? 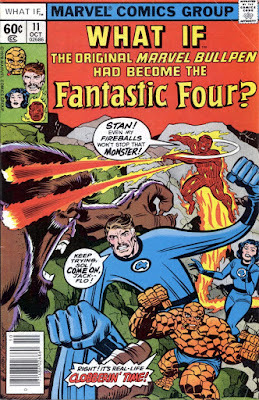 In the regular Marvel Universe, Captain America fell into the ocean and then was found decades later by the Avengers. 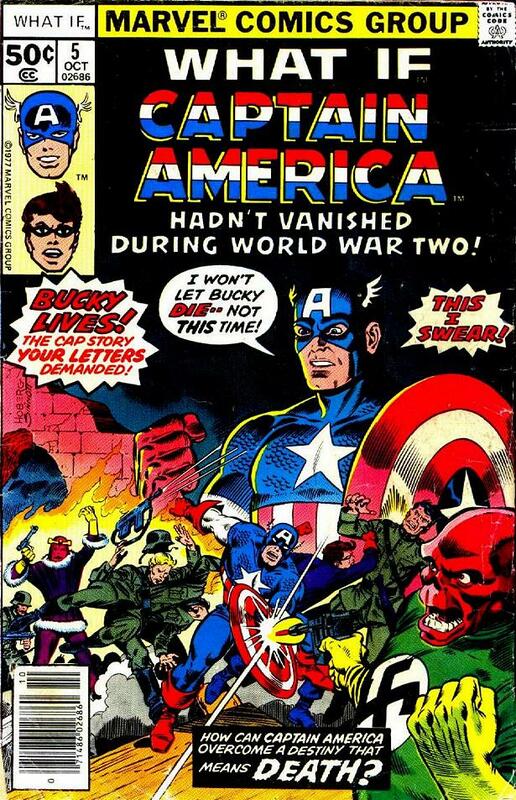 This issue looks into replacement Captain Americas towards the end of the war, and is particularly notable because this eventually stopped being a What If and just became part of the official Marvel canon. 2. 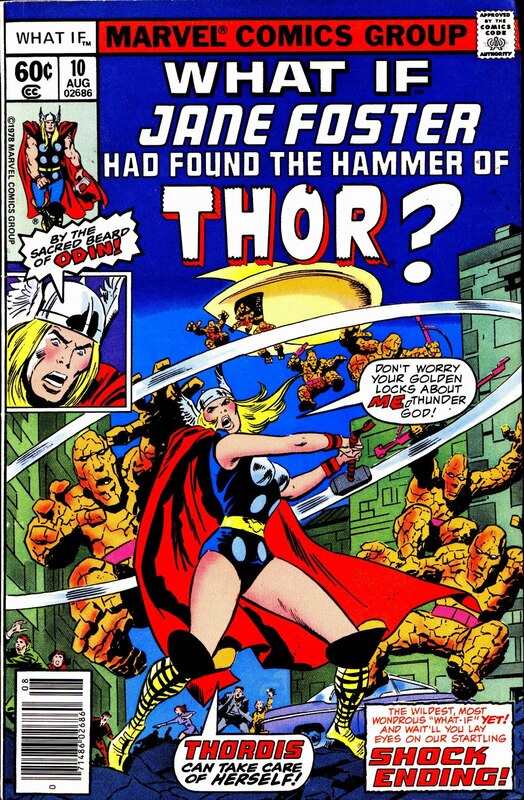 What If Jane Foster Found the Hammer of Thor? 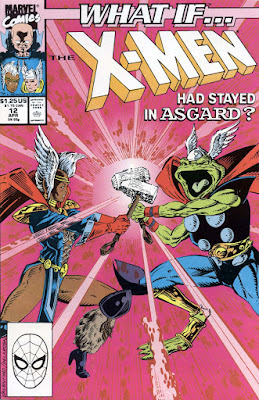 Jane Foster currently holds Mjolnir, and this issue explored that idea decades ago, making her the superheroine Thordis. The ending of this story is more than a bit weird — Thor gets Mjolnir back and marries Sif, while Jane stays a goddess and marries Odin. Yes, Odin. 3. 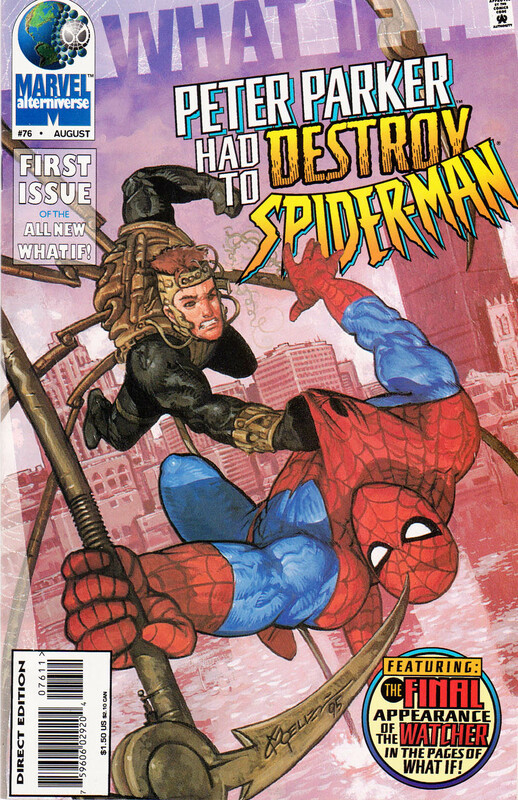 What If Peter Parker Had to Destroy Spider-Man? 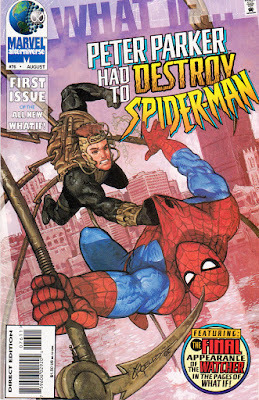 This story where Flash Thompson gets bitten by the radioactive spider and Peter Parker has to stop him is notable for three reasons: it's my all-time favorite What If...?, it's got Peter going to Doctor Octopus for help in creating metal arms to fight Flash's spider-strength, and it's got a beautiful cover by Chris Moeller that also features one of the first (if not the first) instances of Marvel's answer to DC's Elseworlds, "Alterniverse." 4. 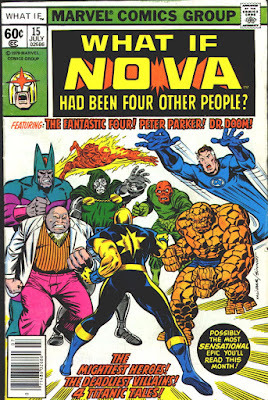 What If Nova Had Been Four Other People? 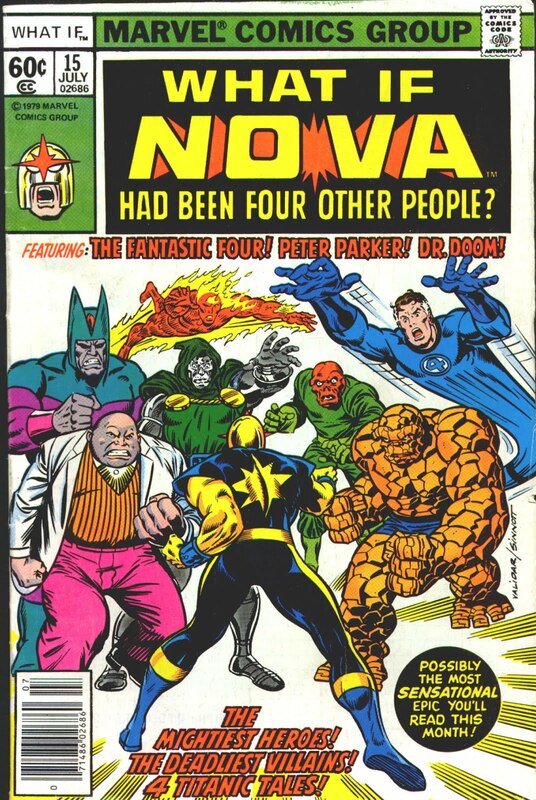 This one shows four different stories, each of which shows a different person getting the Nova Force. One story has Peter Parker becoming Nova. 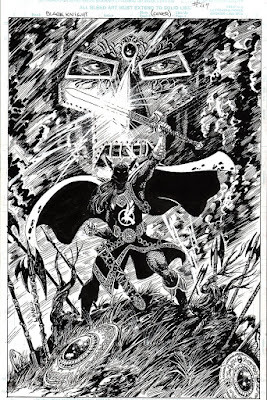 The fourth story has the first ever collaboration between Marv Wolfman and George Perez, who did landmark 80s DC series, The New Teen Titans and Crisis on Infinite Earths. 5. What If.. 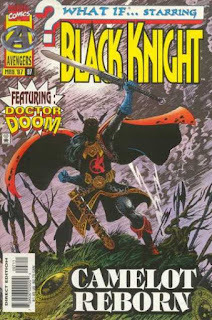 Starring Black Knight. Like I said earlier, What If...? 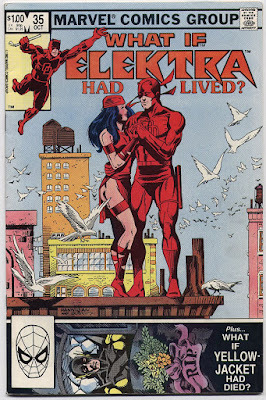 didn't always have the best talent, but when Leonardo Manco got on this series, it felt like someone announcing his arrival into Marvel Comics. 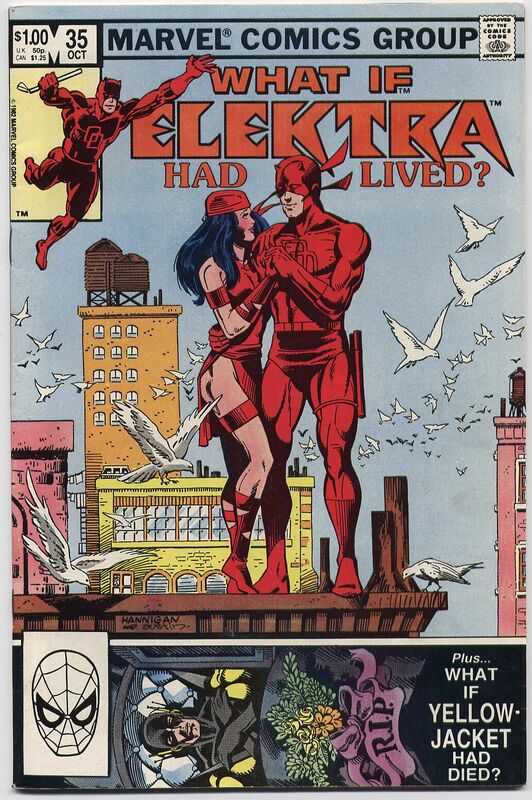 Check out this cover. 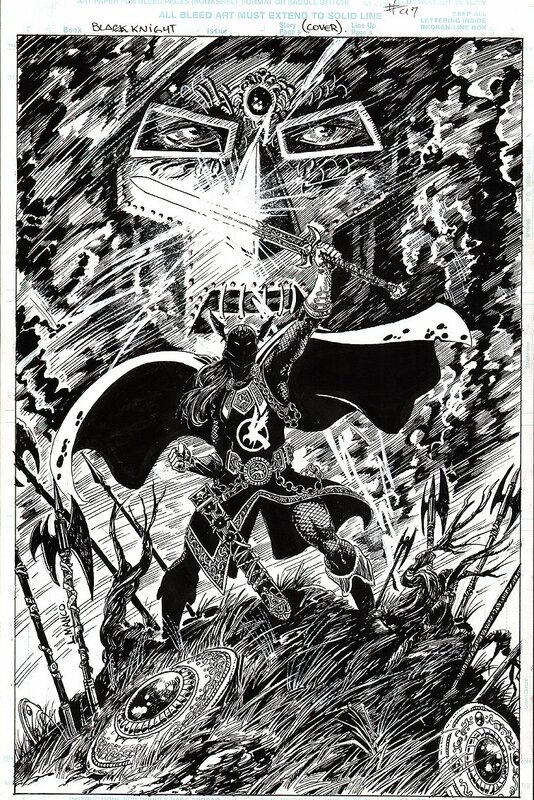 If you think that's good, here's the original black and white art, showing it could have been even better. What If... Starring Rogue was the next issue, and was also drawn by Manco. 6. 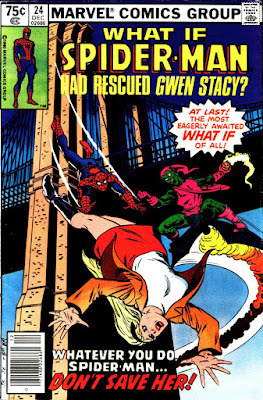 What If Gwen Stacy Had Lived? 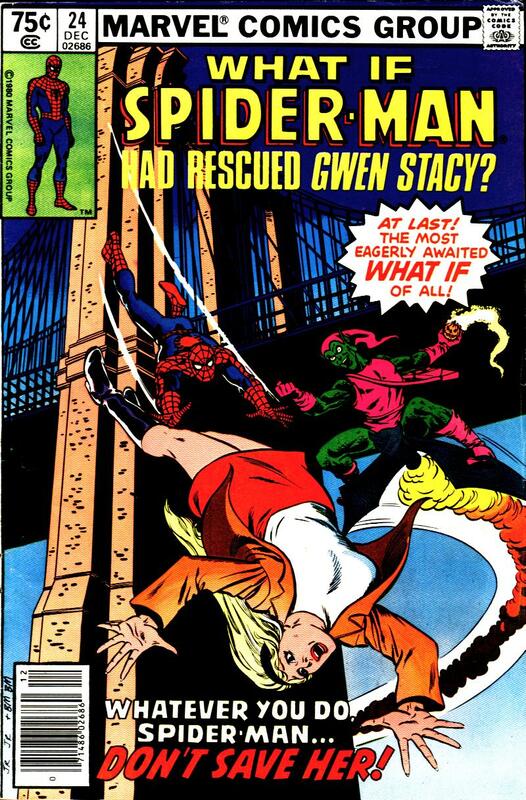 In this issue, Spider-Man manages to save Gwen Stacy from falling off the bridge. He reveals his secret identity to her, proposes, and is met with a "Yes!" The two get married, but then Peter is outed as Spider-Man to the public and his life gets worse — newly married to his one true love and unable to see her or even get into his apartment since he's wanted by the cops. Most of the What If...? resolutions are kind of forced, because they're almost always really sad, basically saying that the way it happened in the regular books is the best possible turn of events. But this is Peter Parker we're talking about, and that's what makes this one of the few What If...? issues that make me think it's exactly how things would have gone if the premise actually happened. And for me, it's the most notable of those. 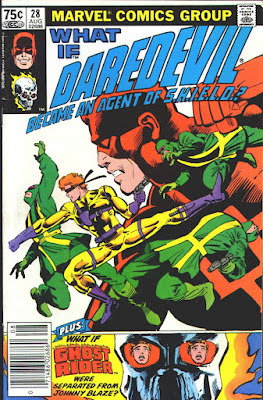 What If Daredevil Was an Agent of SHIELD? was also drawn (not written) by Miller, so for Miller Daredevil completists, it's something to look for. 9. 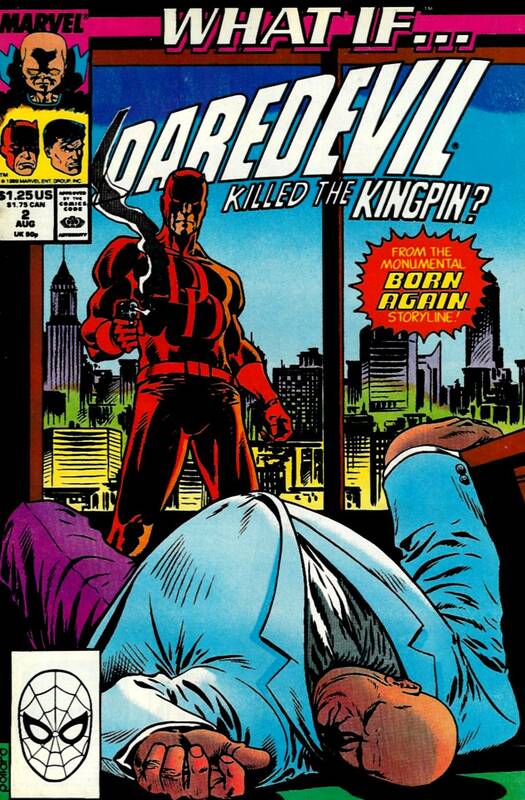 What If Daredevil Had Killed the Kingpin? 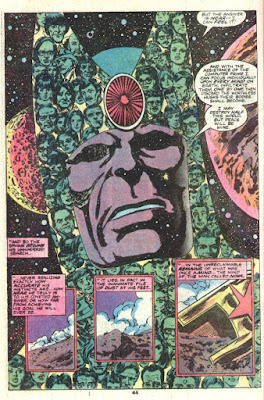 I wrote a while back about the way Marvel in the 80s weaved their titles together, and how certain things in one title could affect another. It still happens that way now, but it was more pronounced back then, and a very glaring example is how the events in Daredevil's landmark story, "Born Again," affected the organized crime storylines in Spider-Man's books. This What If...? issue twists something from "Born Again" and goes straight to the effects on Spider-Man's villains. It's a perfect example of how 80s continuity affected each other. 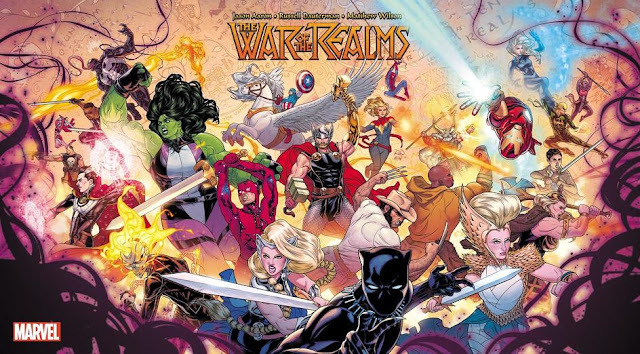 What If the X-Men Had Stayed in Asgard? 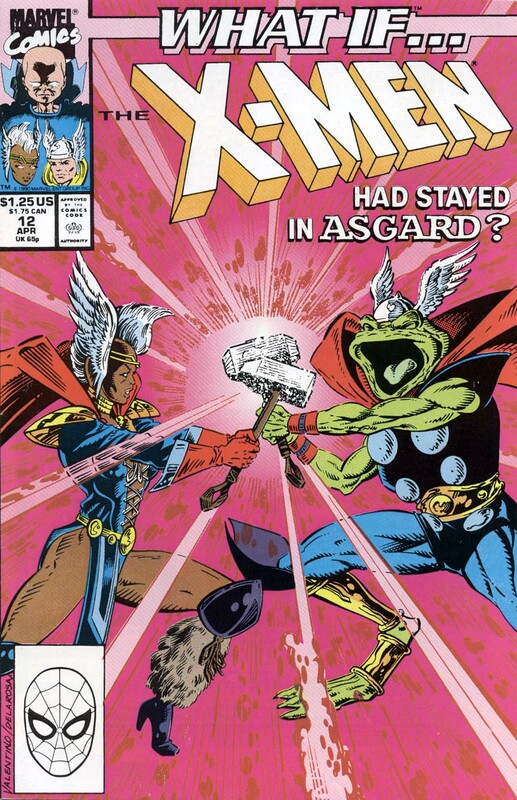 does the same thing, combining two of the 80s notable stories: the X-Men visiting Asgard and Storm becoming the Thunder Goddess, and the time Thor got turned into a frog. 10. What If Spider-Man Had a Spider-Girl? 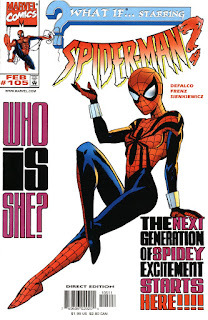 Taking off from the much-maligned Clone Saga, which ended with Mary Jane Watson-Parker miscarrying, this shoots us into the future and gives us Mayday Parker, Spider-Girl, the daughter of Spider-Man. 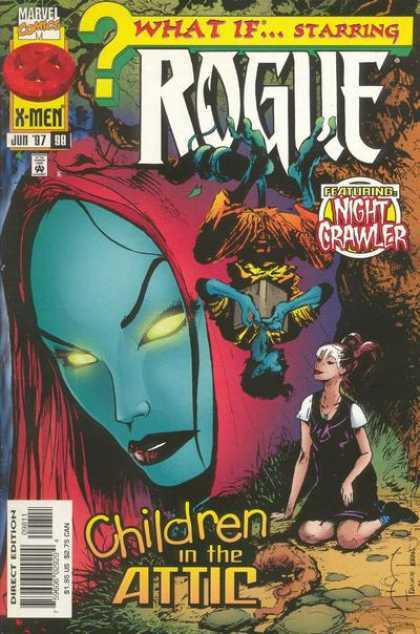 This issue was such a hit that it spawned a series that ran 72 issues (and was saved numerous times from cancellation by fan support) and a recurring character in Mayday Parker, who currently appears in Web Warriors. 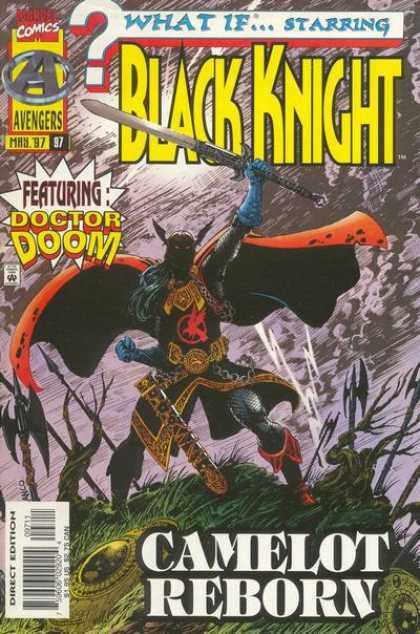 Also, the issue was inked by Bill Sienkiewicz, which in itself is always notable.